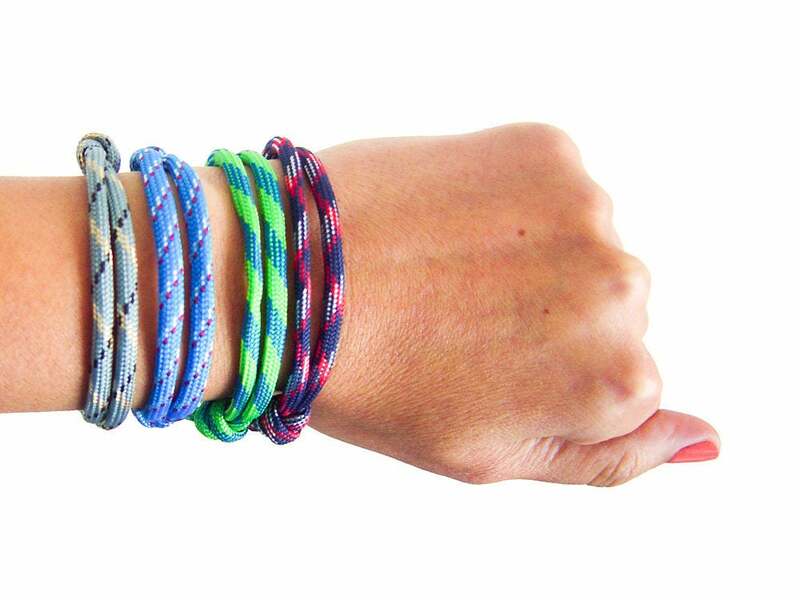 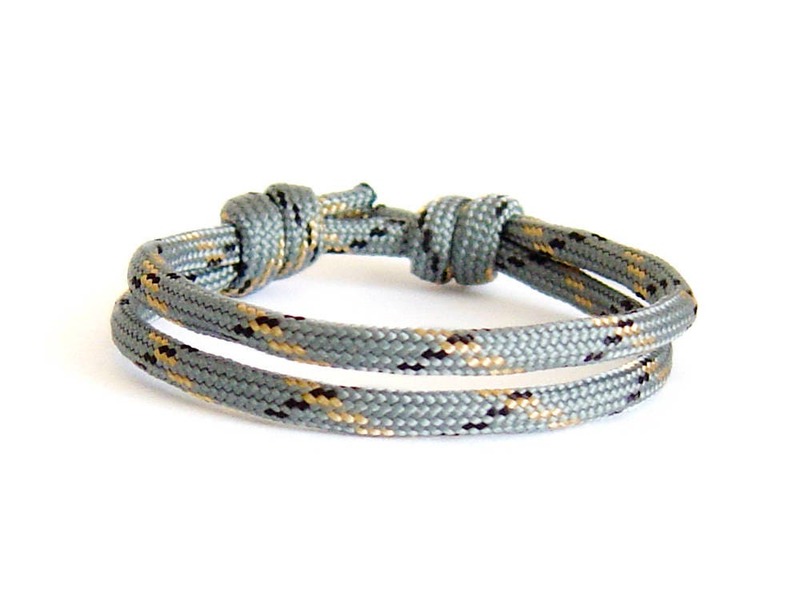 Rock climbing jewelry, colorful climbing rope bracelet, made of paracord climbing rope. 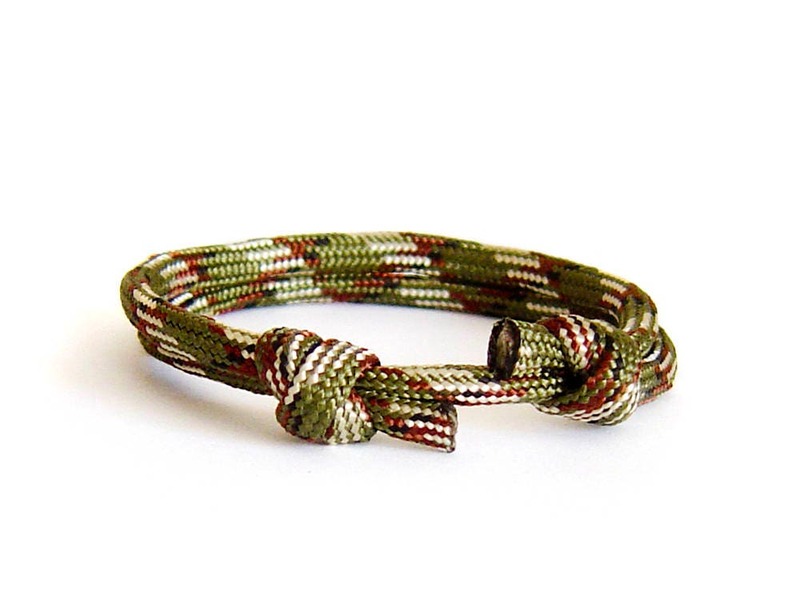 This survival bracelet is an unisex bijou. 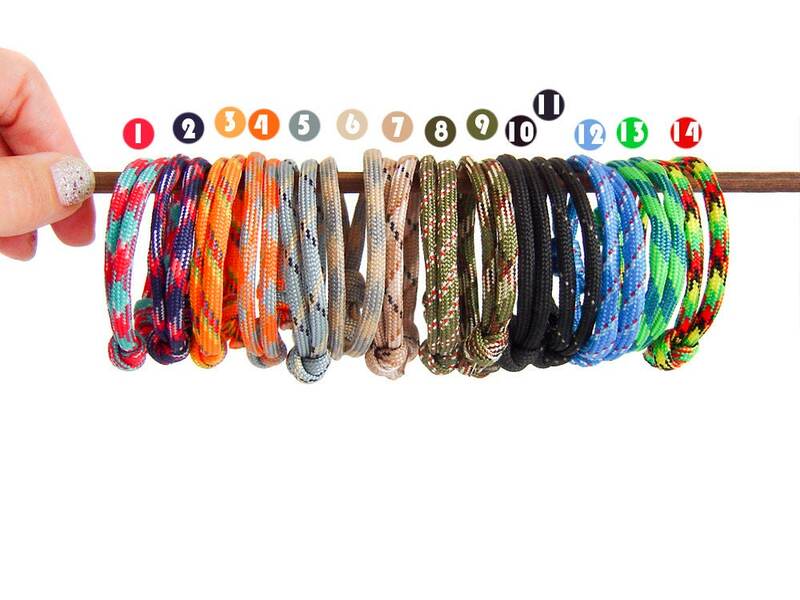 It can be used from girls, boys, ladies or men, because you can change its length when you slide the knots. 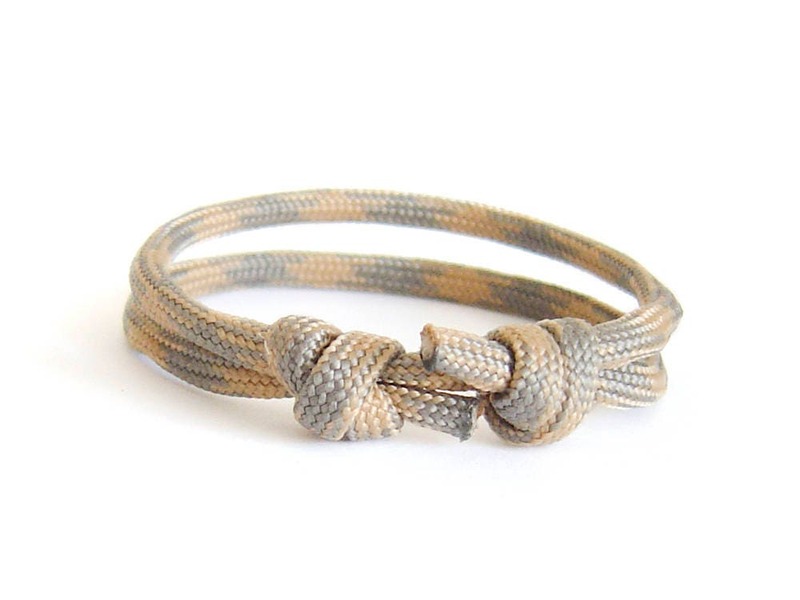 This rock climbing anchor bracelet is best for your summer, your fishing vacation, or just as your nautical or climber bracelet. 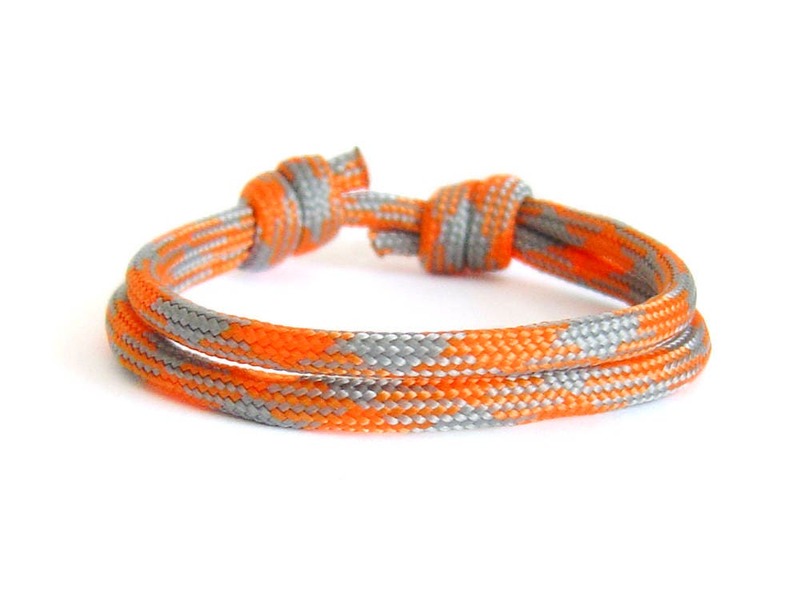 Wearing this rock climbing jewelry, you will have a short prusik rope, that you can use in case. 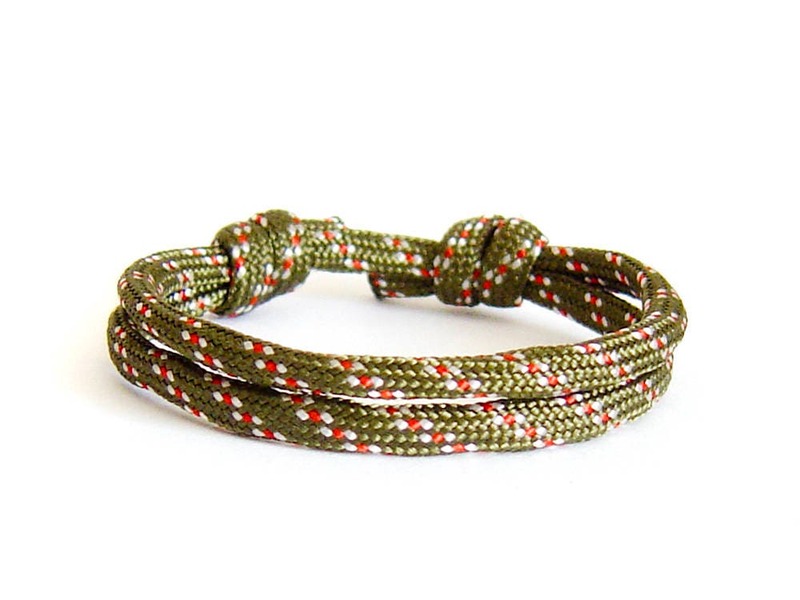 Size - varies, you can modify it, when you slide the knots. 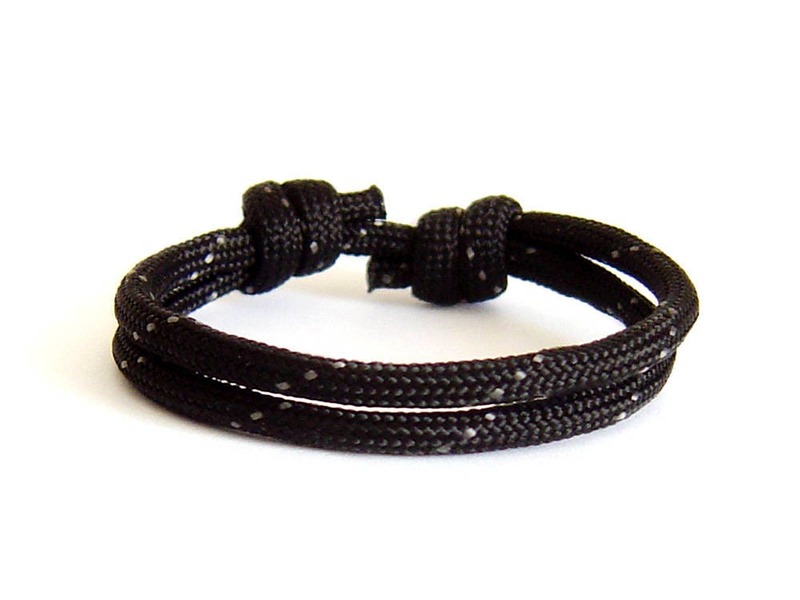 The diameter of the this survival bracelet be adjusted from 13 cm (5 1/8"), to 25 cm (9 13/16") when it is maximum opened. 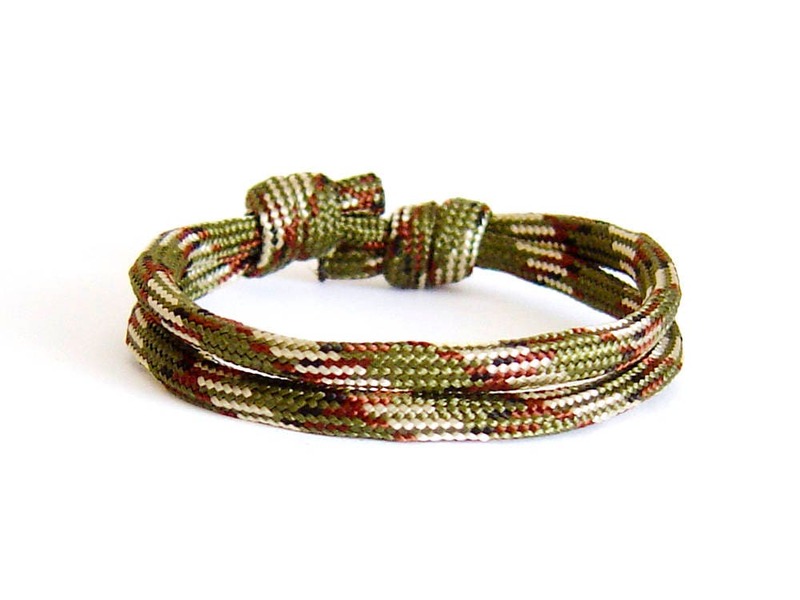 The paracord is 4 mm (3/16")in diameter. 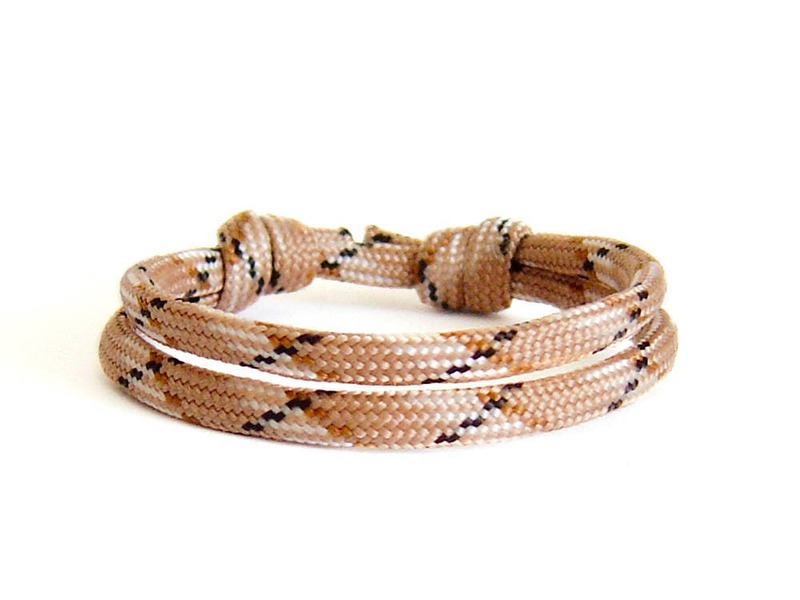 Lightweight, top fashioned, summer fashioned.